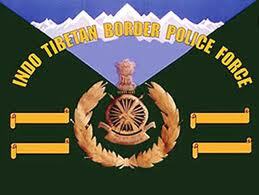 About : The Indo-Tibetan Border Police (ITBP) is responsible for security along the India's border with the Tibet Autonomous Region of China. INDO-TIBETAN BORDER POLICE FORCE (ITBP) is recruiting Inspectors (Hindi Translator), Sub-Inspectors (Hindi Translators and Overseers). Application Fees : Rs.50/-in form of Indian Postal Order, Crossed Bank Draft or Central Recruitment Fee Stamps (CRFS), drawn in the name of COMMANDANT (ADMN.) ITBP ACADEMY, PAYABLE AT SBI MUSSOORIE, CODE NO 684. No fee from SC/ST/Ex-SM/Female candidates. Application Fees : Rs.50/-in form of Indian Postal Order, Crossed Bank Draft or Central Recruitment Fee Stamps (CRFS), drawn in the name of ACCOUNTS OFFICER, DIRECTORATE GENERAL, ITB POLICE, NEW DELHI, PAYABLE AT SBI, R.K. PURAM, NEW DELHI ( BANK CODE-1076). About : The Indo-Tibetan Border Police (ITBP) is an Indian force conceived on October 24, 1962 for security along the India's border with the Tibet Autonomous Region of China, border covering 2115 kilometres. It is one of the Central Armed Police Forces. The first Director General of the ITBP was Late Sardar Balbir Singh (itbpolice.nic.in). This was also his brain child along with his colleagues. The ITBP is trained in Civil Medical Camp, disaster management, and nuclear, biological and chemical disasters. ITBP personnel have been deployed abroad in UN peacekeeping missions in Bosnia and Herzegovina, Kosovo, Haiti, Sudan, and elsewhere.